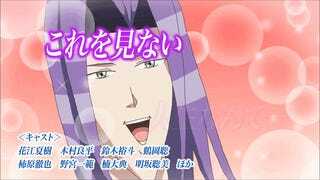 Gakuen Handsome is a silly game. Silly on purpose. The same looks true for the anime version. The Boys’s Love title, which is set in all-boys school, is getting an original anime video this August in Japan. Titled Gakuen Handsome: The Animation, the 30-minute DVD is priced at 2,980 yen (around US$25) and features the bad animation and design Gakuen Handsome fans have come to expect. Thank goodness for that!